When a tooth is injured either through decay, occlusal problems or trauma, the nerve of the tooth dies, and breaks down causing all sorts of secondary symptoms, the most obvious of which is pain, in all its forms of severity. This pain is a result of an infection caused by the nerve debris extending beyond the tip of the root and the bodies defense mechanism rejecting said tooth. Previously the only remedy to the pain was to remove the tooth. These missing teeth were then replaced with a variety of “false Teeth”. 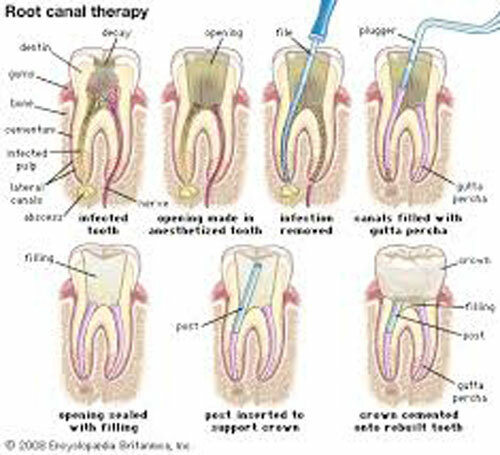 Root canal therapy involves the removal the the decayed nerve tissue, the sterilization of the nerve canal and the retrograde filling of the nerve canal. The rationale of Root Canal Treatment is to remove all sources of infection associated with the nerve, effectively placing a blindfold on the body, i.e If the body can’t see the dead tooth, the body will hopefully not reject the tooth. 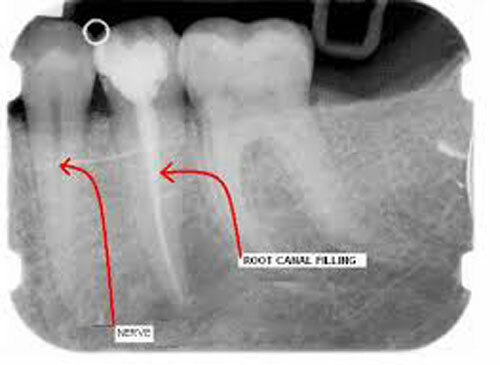 When performed correctly, Root Canal Treatment has an almost 100% success rate. There are some cases of failure, but these are very low, and may be due to a variety of external factors, including incorrect methology. 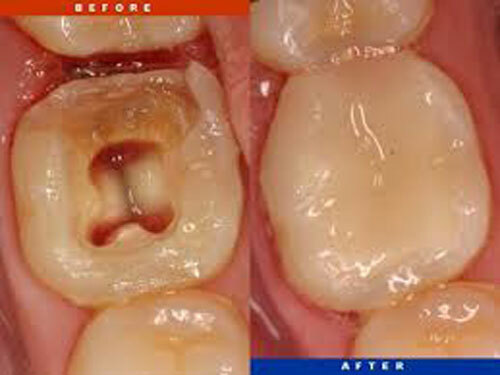 With root canal treatment you at least try to save the tooth first. A dead tooth is better than having no tooth, and a lot cheaper than having to replace the lost tooth via a bridge or an implant. Root canals treatments like most dental procedures are done under local anaesthetic, and most patients feel no pain at all. There is normally some tenderness immediately after treatment which disappears usually within 48 hours. After 6 months , if the tooth is symptomless and pain free , a crown is recommended to restore it to the normal function and prevent fracture.